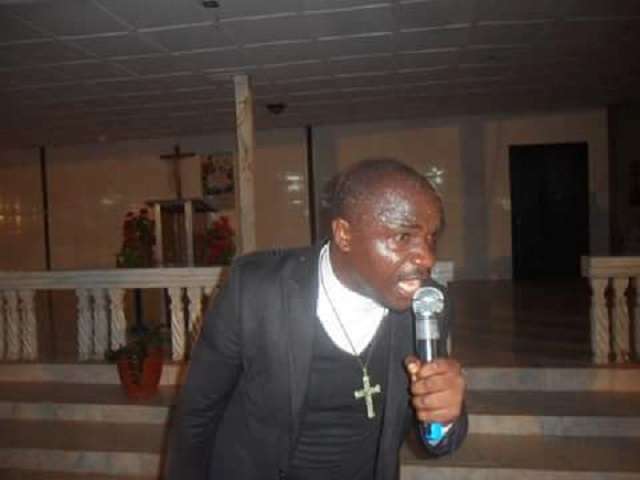 A one time Pastor, Onyeozi Chukwunonso Obijiofor Nwolisa, who now describes himself as a traditionalist and idol worshipper, has come out with a damning statement about Jesus Christ, saying the son of God is a fake and pure fallacy. Nwolisa who is very active on his Facebook wall has been posting statements discrediting Jesus while extolling the virtues of his local god whom he calls Chukwu Okike Abiama, saying he is the true God and calling on Igbo people all over the world to denounce Christianity and follow their traditional god. Nwolisa added that when he was deceiving himself when a practicing Christian and has now seen the light, hence his decision to quit the pulpit. "It's wonderful to discover who you are; I used to deceive myself before but something in me kept telling me that I was living in pretense, not until I found the truth by the grace of CHIUKWU OKIKE ABIAMA, the only true God. If you know me before and you are close to me now, you will discover that something has happened to me; am a changed person now; what a joy to find the truth. I use to find it difficult to have self-control but it's a thing of the past now, glory to EZECHUKWU OKIKE ABIAMA who has done this for me. Do you know how it happened? It was the day I discovered the meaning of my name Chiukwunomnso; my advice for you all is to try and discover who you are. Don't wait for your pastors or prophet to tell you who are. When it happened to me, I had no pastor, no prophet, no friends, not even my family. It was just me and my creator, CHIUKWU OKIKE ABIAMA. Start asking questions and stop believing everything you were told; they said as it was in the beginning so shall it be. I don't believe in that, there must be changes; I don't live on under any dogma. I try to do what is right in the sight of my CHI and men; let me stop for now. Thank you." "Anytime I look at my pictures (as a Pastor) and remember how they used them to deceive and enslave my people, and seeing my people with slave mentality and the damage they have done to my people, I feel like strangling these people to death. See how they have turned our people to idol worshippers. We must continue to preach the gospel of truth against these enemies of CHIUKWU OKIKE ABIAMA. In doing so, we will free our people from all this religious deception and lies from the pit of hell, and Almighty Ezechukwu OKIKE ABIAMA will be glorified at last. I have said it before and I maintain it that Jesus is fake. The only true God is CHIUKWU OKIKE ABIAMA."